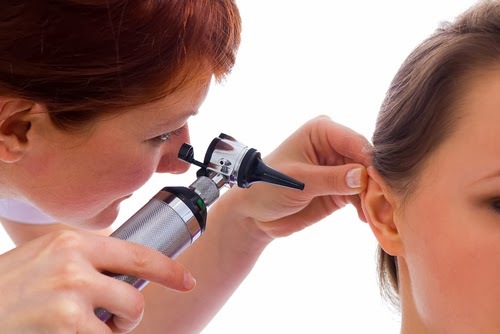 Previous studies have found a link between hearing impairment and depression in children, but data are lacking on whether this holds true for adults as well, according to a study published yesterday in JAMA Otolaryngology-Head and Neck Surgery. Chuan-Ming Li, M.D., Ph.D., a health and medical researcher at the National Institute on Deafness and Other Communication Disorders, and colleagues conducted a study in more than 18,000 individuals aged 18 and older to assess the impact of hearing loss on depression rates in adult populations. The study found that the rate of moderate to severe depression was 11.4 percent in adults who self-reported hearing impairment, compared with 7.1 in those with “good” hearing and 4.9 percent for individuals with “excellent” hearing. Women were more likely than men to have an association between moderate hearing impairment and depression. There was no association found between self-reported hearing impairment and depression among people aged 70 and older. After adjusting for health conditions and others factors associated with depression, the data showed that self-reported hearing impairment was in fact independently associated with depression, particularly in women. The authors urged health care professionals to be alert to an increased risk for depression in adult patients who have hearing loss.